If you are not very familiar with Windows PCs, you might be wondering what the recovery partition is. Simply defined, the recovery partition is a portion of the disk drive on your computer whose purpose is to hold the computer system image. The recovery partition stores the system backup files and files which guide system restoration. If you purchase a computer with Windows 10 preinstalled, the computer may have a recovery partition. You can also create a recovery partition manually. In this article, we will be showing you how to create a recovery partition on Windows 10. But first, let’s see why you need a recovery partition. Part 1. Why You Need a Recovery Partition? Part 2. How to Create a Recovery Partition for Windows 10? Part 3. 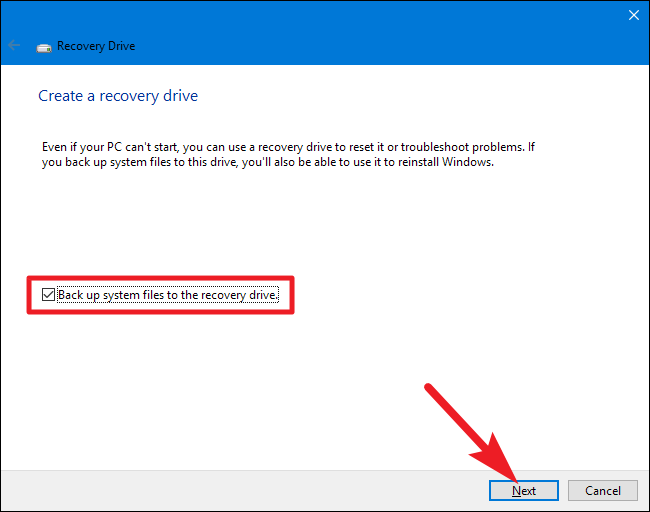 How to Use a Created Recovery Drive to Restore PC? Part 4. How to Recover a Lost Recovery Partition? 1Why You Need a Recovery Partition? Computers systems do run into errors. If this happens to your computer, the recovery partition will help with the computer recovery. It will help you get your software programs, device drivers, and system settings back quickly and easily. The recovery partition can help eliminate some unneeded expenses. For example, it will eliminate the need to purchase a new operating system or taking the computer to a repair shop. 2How to Create a Recovery Partition for Windows 10? Click the Windows start key and type Recovery Drive. Under Settings, click Create a recovery drive. Your computer may ask you whether you would like to open Recovery Media Creator. Click Yes. Make sure that you check the “Back up system files to the recovery drive” checkbox and then click Next. Connect a USB drive to your PC, and then select Next > Create. 3How to Use a Created Recovery Drive to Restore PC? Connect the recovery drive to your PC. Turn on your computer and choose Troubleshoot from the options prompted. Choose Recover from a drive. If you uncheck "Back up system files to the recovery drive" when you created the recovery partition, there won't be the option of "Recover from a drive". Note: This option will delete all your personal data and apps. After selecting the recovery option in step 3 above, you will need to wait while your system gets restored from the recovery partition. 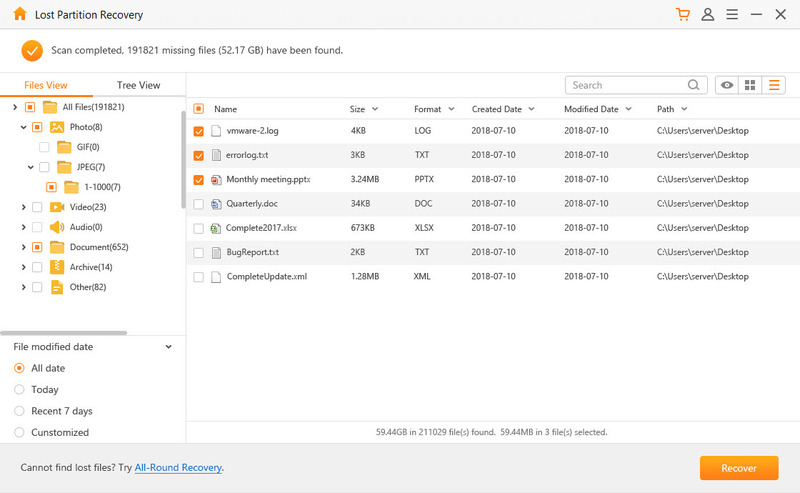 4How to Recover a Lost Recovery Partition ? Due to circumstances that are out of your control, your recovery partition may get lost. If this partition happens to get lost, you shouldn’t panic. You can recover the partition using a tool known as AnyRecover. AnyRecover is extremely easy to use. You won’t need any technical knowledge to get your lost partition back. It is also extremely quick. You should have your recovery partition back within a few minutes. AnyRecover is capable of recovering files lost via other methods. It can recover files lost via accidental deletion, virus or malware attacks, OS crash or OS reinstall, accidental formatting, damaged hard drive, etc. The tool will help you get back all types of data. It supports over 1000+ file types. It will help you get back the data you lost on your hard drive, flash drive, mobile phone, camcorder, and other storage media. The tool is extremely easy to use. What you need to do is scanning and recovering. The tool has a free trial version. You can use the free trial version to try it out before paying for it. 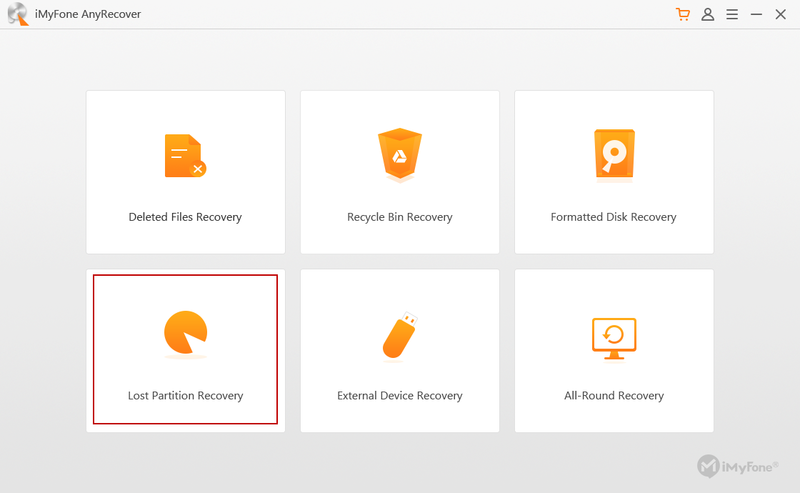 Step 1: After launching AnyRecover on your PC, select the “Lost Partition Recovery” mode. Step 2: It will scan your PC to locate your partitions. After the scan, select the partition you would like to get back. Click “Next”. Note:If after the scan AnyRecover fails to locate the lost partition, try the “Overall Scan Your Partition” mode. A link for this mode is available at the bottom of the interface. Step 3: Select the types of files you would like to recover. If you would like to get all files back, check the “All File Types” option. Click "Scan". Step 4: AnyRecover will locate the file types and display them. You can preview these files by simply clicking on them. Select the files you would like to get back and click “Recover”. Having a recovery partition on your Windows 10 PC is very beneficial. If you have not created a recovery partition yet, you can follow the steps outlined in this article to create a recovery partition on Windows 10. Things go wrong and the recovery partition may get lost. If you happen to lose the recovery partition, do not panic. You can use a tool known as AnyRecover to get the recovery partition back. 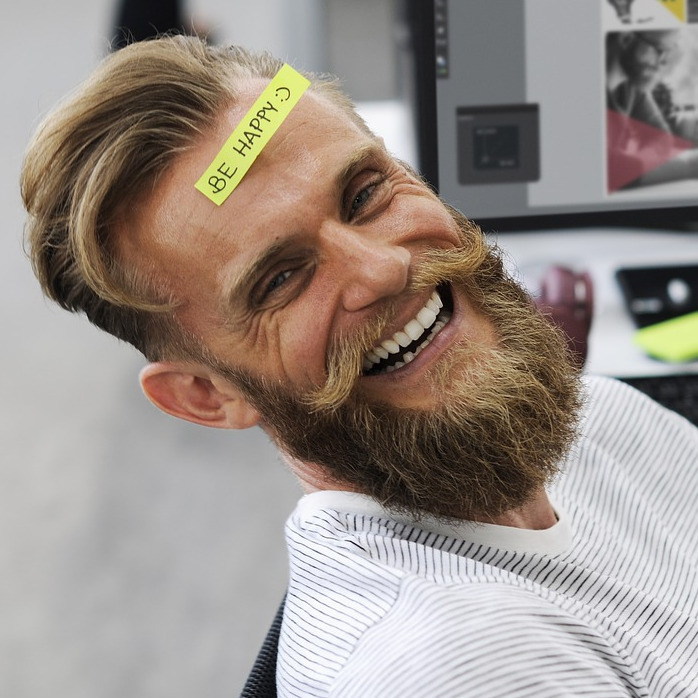 If you would like to know whether AnyRecover will work for you before you pay for it, you can use its free trial version. [Solved] How Can I Recover Lost Data on Acer Hard Drive?